A The Alpha course is an opportunity for anyone to explore the Christian faith. It is relaxed, non-threatening, low key, friendly and fun. Listen, learn, discuss and discover. Ask anything, Alpha is a place where nothing is too simple or too hostile. Each evening will begin at 7.00 p.m. and will consist of a meal (free), a short talk and a discussion. All of this will be fun and friendly with no pressure at all. Alpha is for everyone, especially those wanting to investigate Christianity, new Christians, newcomers to the Church and those who want to brush up on basics. 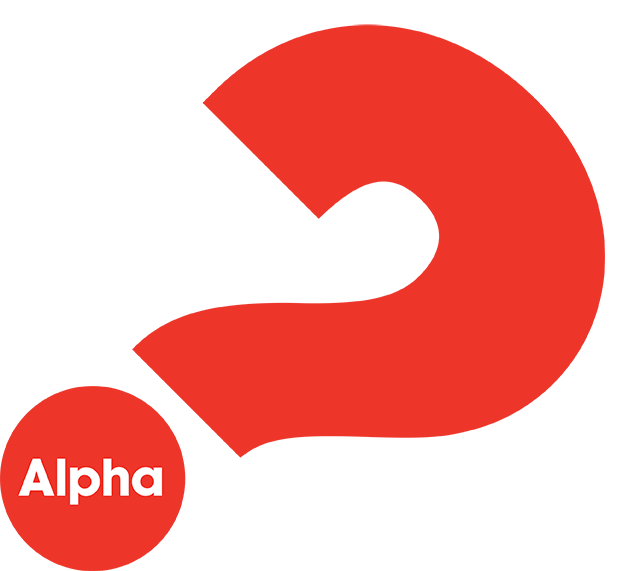 Our next Alpha course will begin in September and will be held on Thursday evenings . Anyone wishing to attend or with any other questions should email the Alpha Administrator or visit the main Alpha website. Although this course is being held at St. Andrew's, Langley Mill it is open to anyone. Consider coming along and bringing a friend with you. Introduction Is there more to life than this? Week 10 What about the church? / How to make the most of the rest of my life. Thursday May 4 Who is the Holy Spirit? Thursday May 11 How can I resist evil? Thursday May 18 Why and how should I tell others? Thursday May 25 Does God heal today? Thursday June 1 What about the church? / How to make the most of the rest of my life.